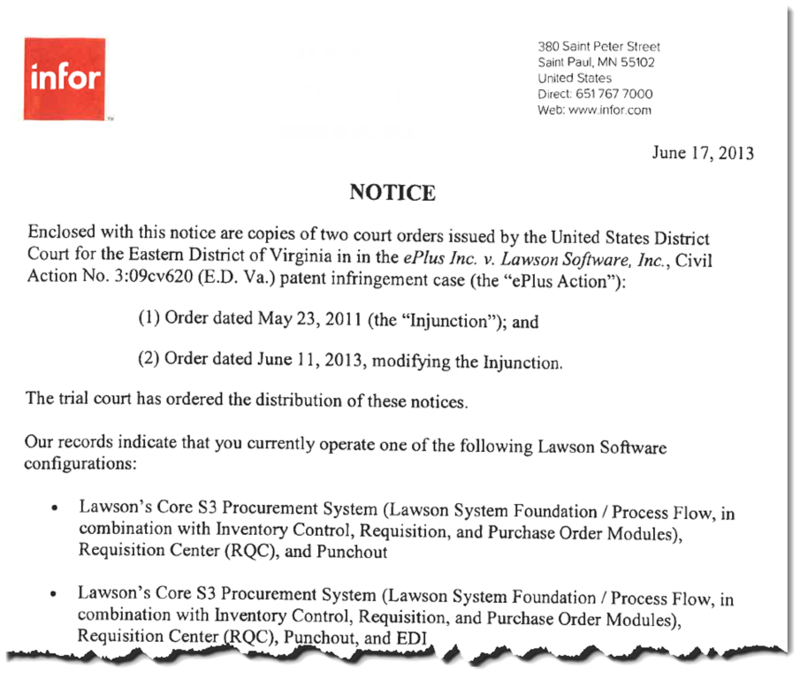 Back in 2011, Lawson responded to an Alleged Patent Infringement by replacing Requisition Self-Service (RSS) with Requisition Center (RQC). In the meantime, Lawson has been acquired by Infor, but the patent case still lingers. Here’s an update. Some of you might have received this notice from Infor, and are unsure how this might impact your organization. The usual disclaimers apply: No, I’m not an attorney, nor do I play one on television. Here’s my interpretation. Coming Soon to a (Lawson) Support Site Near You! Lawson morphs into Infor, continued. You might have missed this notification, and I haven’t heard much noise regarding it. But I will share my insight.